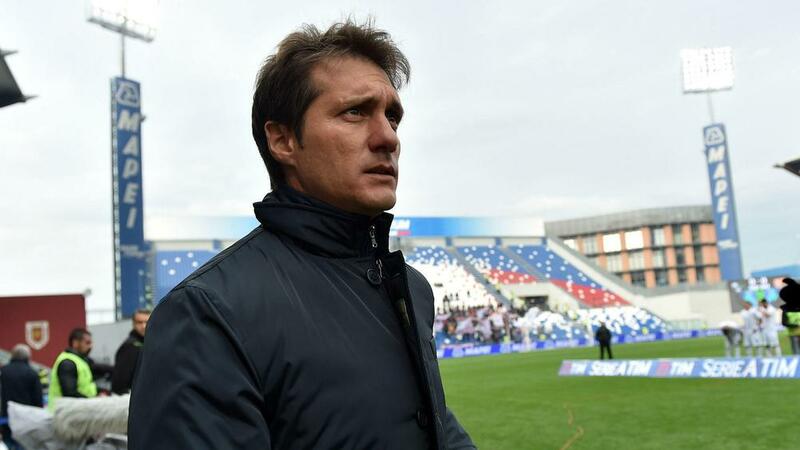 Former Boca Juniors forward Guillermo Barros Schelotto has been named the club's new coach after Rodolfo Arruabarrena paid the price for a disappointing start to their title defence. Boca have won just two of five Primera Division games this term under Arruabarrena, having lifting the domestic title and the Copa Argentina last season. Sunday's 1-0 defeat to Racing Club proved the final game of his two-year tenure, as he left a day later, with Schelotto - hugely popular among fans at La Bombonera - holding his first news conference as coach on Wednesday. "We will try to give our best to get Boca as high up as possible," said the former Argentina international, who won four Copa Libertadores titles during a 10-year playing spell at Boca. "I know the responsibility of being the coach of Boca. "Boca is a permanent challenge. The priority is to produce a good game tomorrow [against Racing in the Libertadores] and win." Barros Schelotto left Serie A club Palermo last month after a short spell in Italy, having been unable to coach the side due to a lack of UEFA paperwork. His first league outing will come at the home of fierce rivals River Plate in the Superclasico on Sunday.